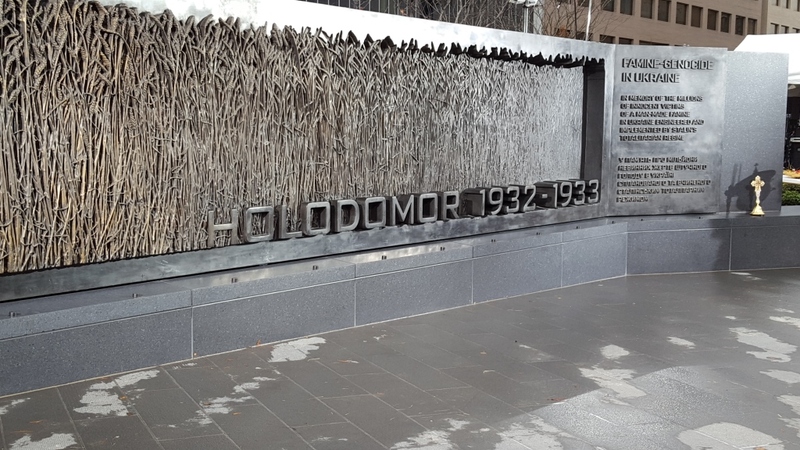 The National Holodomor Memorial in Washington, DC was onveiled on 7 November 2015. The Memorial honors millions of Ukrianians who lost their lives during the 1932-1933 Famine-Genocide resulting from the repressive policies of Soviet government under Stalin. At the height of the man-made famine, 28,000 people were dying daily because the authorities confiscated the grain from the countryside and used it to raise revenues for Soviet industrialization. Crimea and Crimean Tatars were not immune to the devastation in the mainland Ukraine. In fact, Crimea began experiencing starvation before the 1932-1933 Famine, as it was among the first places to feel the devastating effects of collectivization. 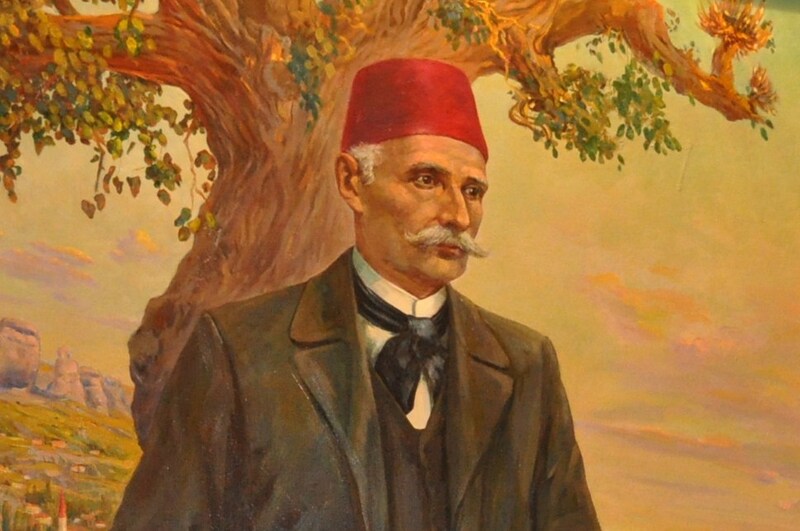 In an article published in 1931, Famine in Crimea, Cafer Seydahmet Kirimer (1889-1960) described the famine conditions prevailing in a land which always had a surplus of foods. 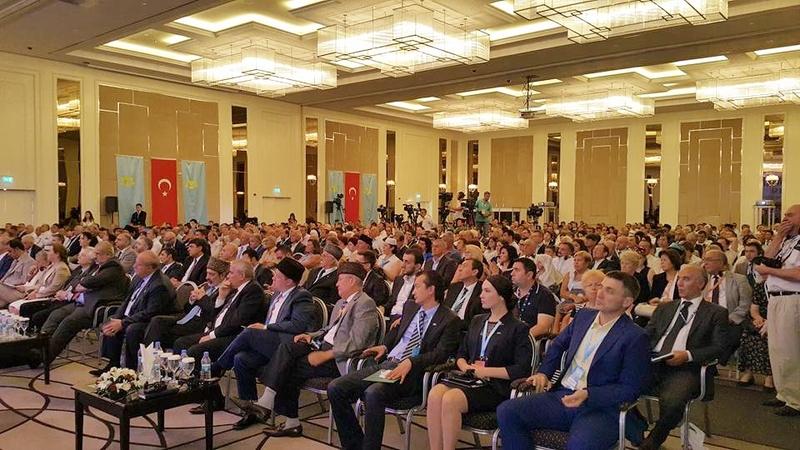 The Second World Congress of Crimean Tatars convened on August 1-2, 2015, in Ankara, Turkey. 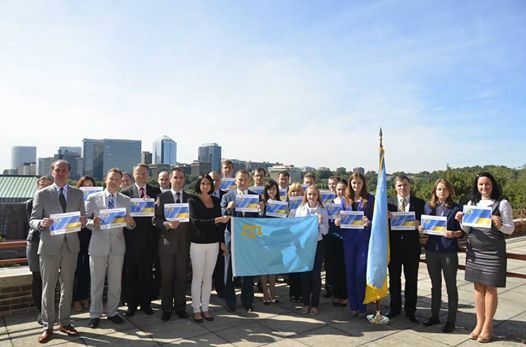 Attended by Tatar representatives from 12 countries, invited guests and government officials, the World Congress offered a platform for the Crimean Tatar diaspora to reaffirm its support for their kin struggling in occupied Crimea. While pro-Kremlin Crimean authorities put pressure on Crimean Tatar NGOs and leaders living in Crimea not to attend the Congress, many activists living in Ukraine were able to participate. Second World Congress of Crimean Tatars. The only independent news agency of Crimean Tatars in Crimea is targeted by the occupying Russian forces. Authorities have refused to renew the license of the Agency, also known as Qırım Haber Ajansı or QHA. See: Paul Goble's Russian Occupation Authorities Move to Close Crimean News Agency, Windown on Eurasia, 22 February 2015. 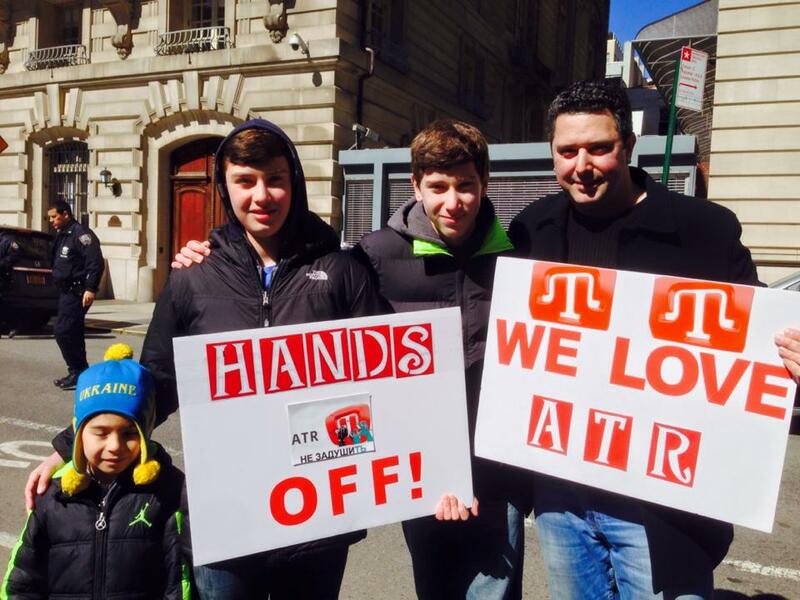 The only Crimean Tatar television station ATR went off the air right after midnight on April 1, 2015. Its anticipated shut down was discussed widely in the Western media, and European Union and US State Department issued statements opposing the move. Russian officials rejected ATR's application for a new licence for four times, saying that the document contained procedural errors. Amnesty International called the official decision to close ATR "blatant attack on freedom of expression, dressed-up as an administrative procedure." Along with the ATR, children's TV Lale and radio station Maydan also had to stop operations. ATR General Director Lilya Budzhurova was adamant: "Those who decided to close TV ATR probably decided not just to hit out at a television channel, but at the entire people [Crimean Tatars]....Their attempt can hardly succeed; we have been through worse than this." 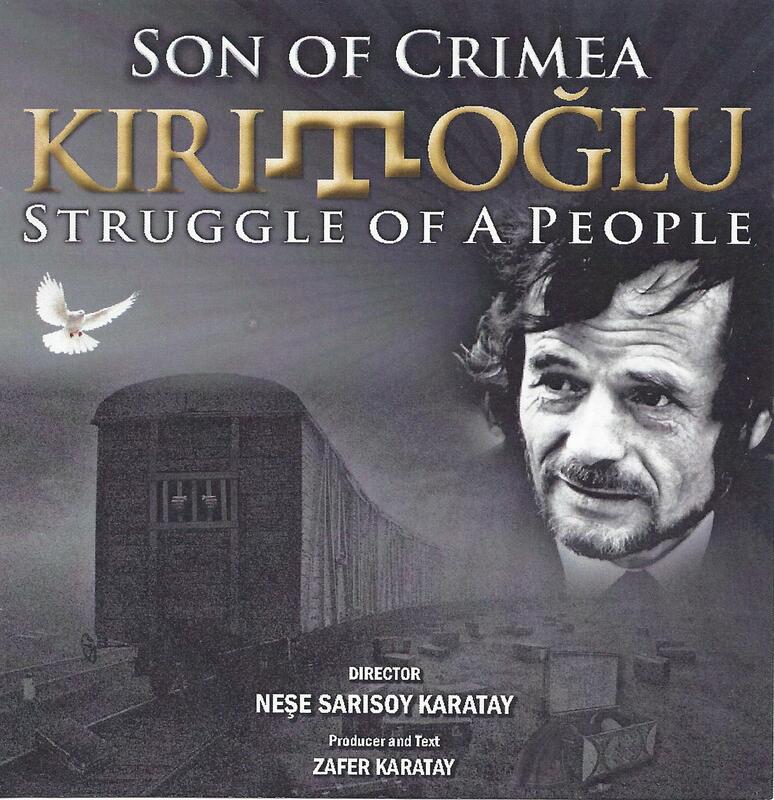 Screening of "Son of Crimea"
"Who Talks about the Crimean Tatars Nowadays?" 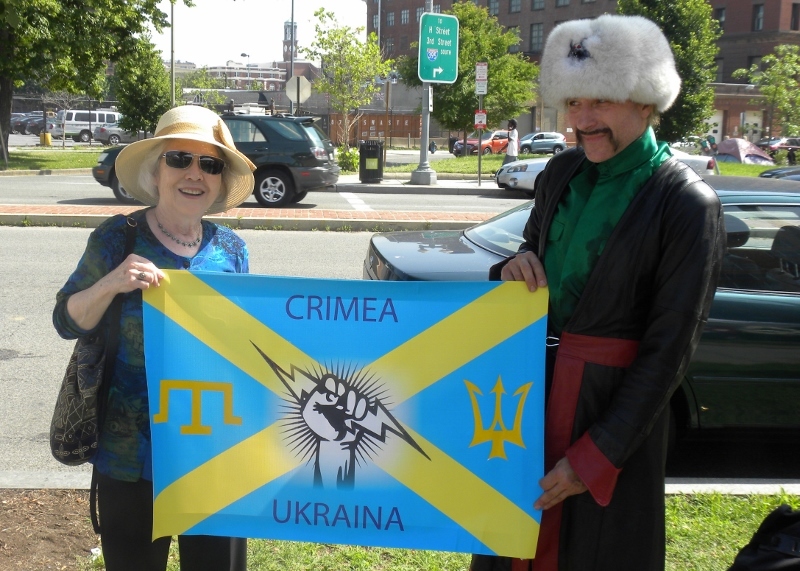 In his remarks delivered at the film screening of "Son of Crimea" at George Mason University on 28 March 2015, Paul Goble compared Petro Grigorenko (1907-1987) and Mustafa Jemilev (1943- ), both former Soviet dissidents and staunch defenders of Crimean Tatars. Grigorenko was stripped of his rank as a General in the Soviet Army and later his Soviet citizenship because of his unyielding stand on Crimean Tatars. The General insisted that terrible crimes had been committed against the Tatar population, who must be allowed to return to their homeland Crimea and have their own republic. 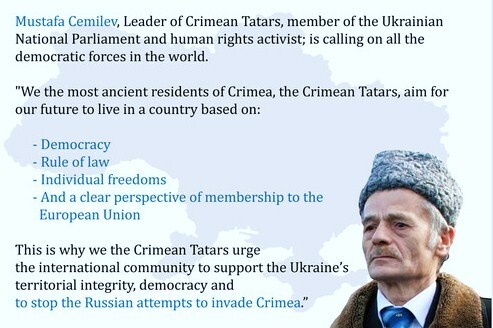 Like Grigorenko and Jemilev, Goble argued, we must continue to speak about the Crimean Tatars whose human rights are being grossly violated under the oppressive rule of pro-Russian government of occupied Crimea. "Given the legacy of General Grigorenko, the efforts of Mustafa Jemilev, and the nature of the situation now," Goble concluded, "we cannot do any less." His remarks, "Who Talks about the Crimean Tatars Nowadays?" can be accessed here at this site. International Committee for Crimea, Inc. was invited to the Nowruz Commission's Gala by the Embassy of Ukraine. We helped the Embassy staff organize a cultural exhibit of Crimean Tatar arts and crafts. Ukrainian Embassy participates in Nowruz Commission's events because of Crimean Tatars, the largest minority group in Ukraine who observe Nowruz. The festive event was held on 14 March 2015 in the Andrew Mellon Auditorium, Washington, DC. 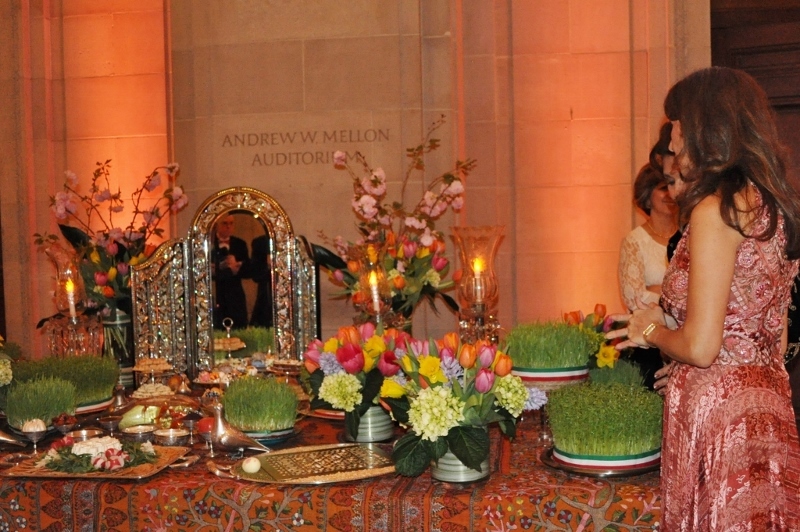 For related photos, see ICC's Picasa Web Album "Nowruz Commission's Gala." Greta Uehling's new publication, "Crimean Tatars as Victims of Communism," traces the history of the various forms of repression under Soviet regime, famines, collectivization, elimination of intellectuals, mass deportation and "Detatarization of Crimea. The article helps us focus on the sufferings of Crimean Tatars prior to their return to the Autonomous Republic of Crimea in Ukraine and their efforts to reestablish their lives in their homeland before the Russian occupation of the peninsula in February 2014. 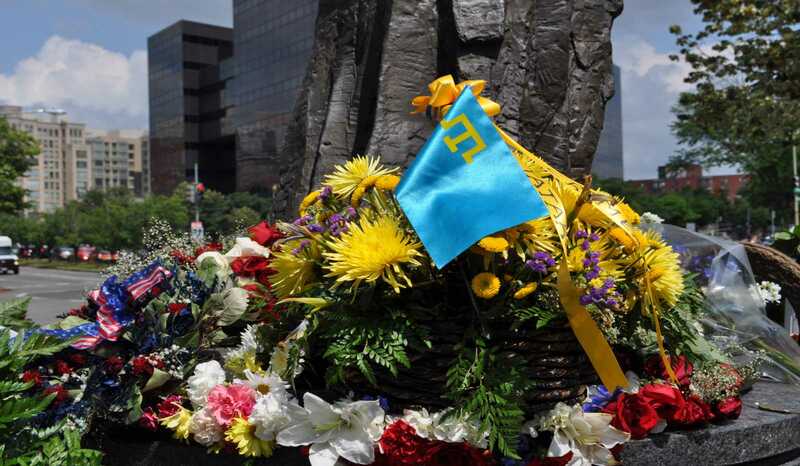 Once again, Crimean Tatars were represented at the wreath-laying ceremony at the Victims of Communism Memorial, Washington, DC, on June 11, 2014. The occasion marked the 7th anniversary of the unveiling of the Monument in 2007 and the 20th anniversary of the establishment of Victims of Communism Memorial Foundation. 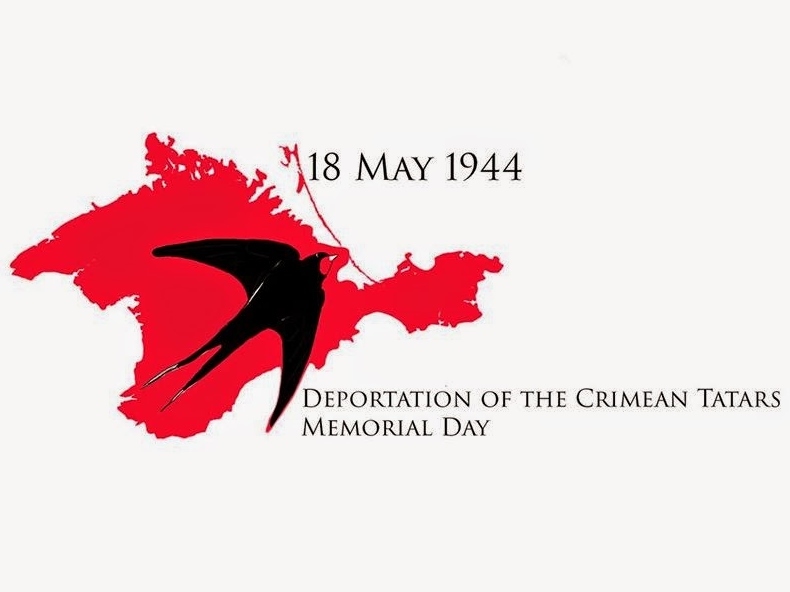 In observance of the 70th anniversary of the Crimean Tatar deportation, the documentary "Son of Crimea: Struggle of a People" was screened at George Mason University, Arlington campus on May 18, 2014. The documentary tells the story of the Crimean Tatars' arduous journey during deportation, unsanitary conditions in cattle wagons used to transport them, and the misery awaiting the deportees in places of exile. Ukrainian Embassador Olexander Motsyk attended the event and addressed the audience. Inci Bowman of the ICC introduced the film and Paul Goble provided the commentary following the screening. The event was organized by Arlington Sister City Association, Ivano-Frankivsk (Ukraine) Committee; in cooperation with International Committee for Crimea, Inc., and the Embassy of Ukraine, Washington, DC. A report produced by the Voice of America: Ukrainian Service is available at VOA News Website (in Ukrainian). The May 22 screening of "Son of Crimea" was organized by the Assembly of Turkish American Associations in Washington DC, in cooperation with the ICC. Again, Inci Bowman introduced the film and handled the Q&A discussion. See also: "An Urgent Appeal to President Barack Obama" by Mubeyyin B. Altan, a member of the ICC Board of Directors. This year (2014) marks the 100th anniversary of the death of Ismail Bey Gaspirali (1851-1914), a Crimean Tatar publisher, educator and reformer. UNESCO has included Gaspirali's name on the list of eminent personalities whose anniversaries are celebrated by Member States of the United Nations. 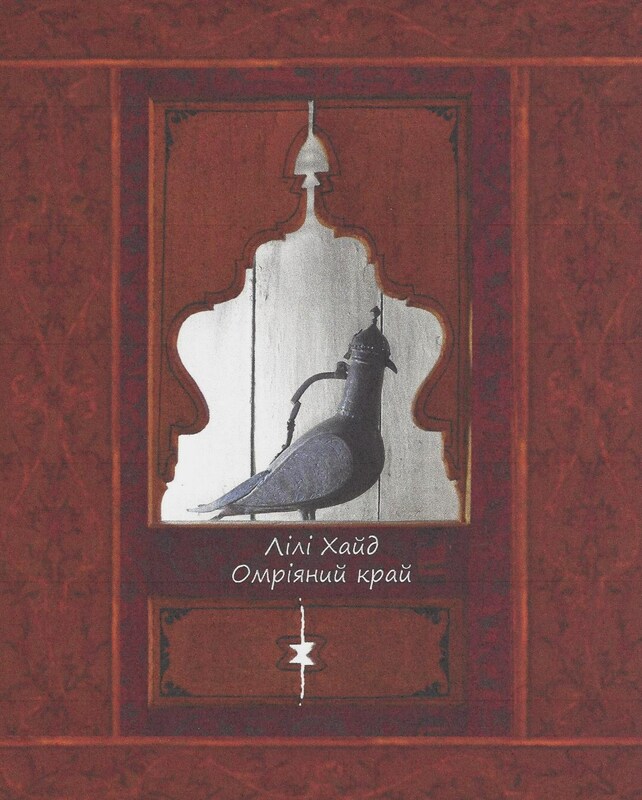 Nominated by Turkey, with the support of Ukraine, Ismail Gaspirali is already a well-known figure in the Turkic world. 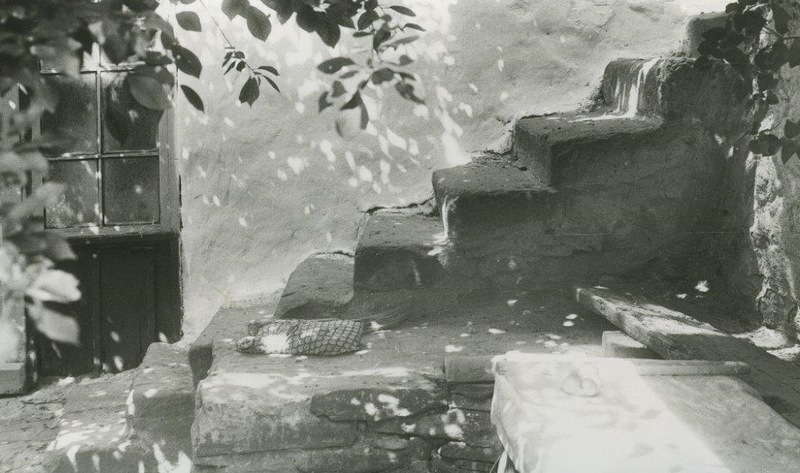 He "was not only an educational reformer, a strong promoter of literacy, and proponent of mother-tongue education, but also an avid supporter of women's education and emancipation." See: UNESCO's "Celebration of Anniversaries in 2014." We hope that with UNESCO's endorsement, Gaspirali will be better appreciated worldwide. The ICC Web site already includes an important section on Gaspirali, developed on the 150th anniversary of his birth in 1851. Various aspects of Gaspirali's work are detailed in scholarly articles, a long obituary by a contemporary, a timeline and a bibliography. See: "Celebrating the Life of Ismail Bey Gaspirali." Throughout 2014, we will be sharing this important resource and reporting on events relating to the Gaspirali anniversary. A new film about Crimean Tatars: "Coming Back"
For earlier announcements and news, see: ICC Notices (2011-2013) and ICC Notices (2008-2010).